Haji Wahid Mee Rebus @ Plaza Angsana, Johor. 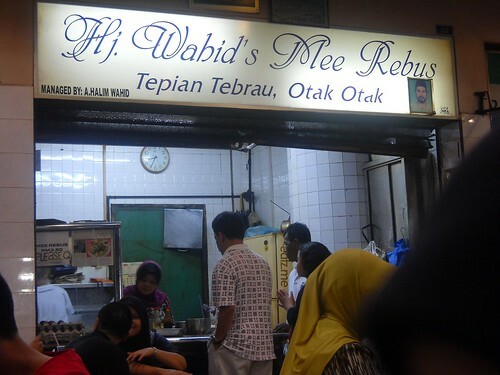 Orait, this time I will review one of traditional food in Johore which is the famous Haji Wahid Mee Rebus. The stall is located at Plaza Angsana, Skudai, Johor Baharu. Map HERE. One of my friends told me that it has branches at Stulang, Johor near the Open University but when I checked it, it has been closed already~huhu. I’m not sure for the opening time of the stall, but I go there on Wednesday night and it’s open. So I assume that it will open on weekdays and weekend but not sure for the hours~As it is a foodcourt, I assume it open for breakfast, lunch and dinner.